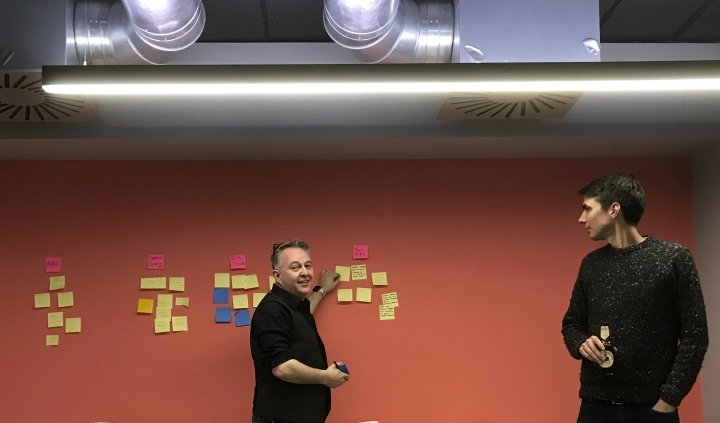 LONDON — Software engineers, entrepreneurs and product managers huddle in small groups, brainstorming ideas and scrawling thoughts onto Post-it Notes on a wall. The project leader exhorts them to "think of products around these themes." It's not a startup but a grassroots band of volunteers from London's tech industry developing websites to prevent Brexit. They hope to put public pressure on politicians to give people a second vote. While the group is small, their engagement in politics underscores the concerns among businesses and entrepreneurs who stand to suffer from tariffs and border checks. Since its launch last year, Tech For U.K. has rolled out a dozen mobile-friendly websites. They help users automatically send anti-Brexit messages by postcard or voicemail to their politicians or spotlight the European Union's benefits to Britain. 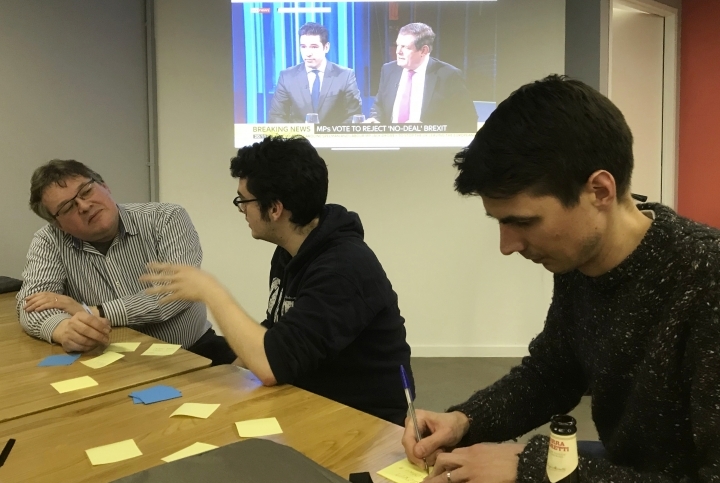 Volunteers donate their time, and the group also gets limited funding from anti-Brexit campaign group Best For Britain, which vets the digital tools before they go live. The latest, launched on the weekend, lets Facebook and Instagram users add an augmented reality "Stop Brexit" button to photos and videos. Britain was due to depart the EU on Friday but the process has been delayed after Parliament twice rejected the Brexit deal Prime Minister Theresa May negotiated with the EU. The House of Commons took control late Monday of the stalled process and plans to vote this week on alternatives to May's deal. One of the group's goals is to rally support for a second referendum on Brexit. There's no majority for that in Parliament, but a big march in London on Saturday to demand one suggests momentum is growing. A retired academic's online petition went viral last week, receiving more than 5.7 million signatures in favor of revoking Brexit altogether. "At the end of the day, it's for those who might change their mind," said Kiyana Katebi, founder of an IT consultancy. Katebi helped develop the group's first site, MyEU.uk , which shows people EU-funded projects in their neighborhood based on their post code. She said the site had around 100,000 visitors in the first two days after its September launch. The group, while small, believes they've have had an impact on sentiment, noting that in a recent 10-day period users sent 6,500-7,000 postcards to lawmakers. More than 1,100 U.K.-based tech executives signed Tech For U.K.'s open letter last year to May, warning that Brexit risks making it harder to hire tech talent and crimping funding from Europe. But for many volunteers, Brexit's impact on the country transcends those concerns.